The impact of a consumer pays model on the broking industry has been quantified in an industry-first report, demonstrating the dangerous implications of moving to a fee-for-service model and reaffirming the current value of the broker proposition. While the ASIC Review of Mortgage Broker Remuneration and the Royal Commission into Misconduct in the Banking, Financial Services and Superannuation Industry have both looked at how brokers are remunerated, there has been little work done around what borrowers actually want, or value, when securing a mortgage. Further, there has been little hard evidence released on what borrowers think about the way brokers are remunerated. Given the focus on ‘good consumer outcomes’, The Adviser last year appointed Momentum Intelligence to undertake research of its own to truly understand what borrowers think of the mortgage process and – crucially – what consumers think of broker remuneration. The Borrower Experience Survey, which was promoted widely across relevant Momentum Media brands, asked broker and bank customers about why they used a broker or went directly to a lender, what their experience and sentiment was around broker commissions and, importantly, what their satisfaction levels were with the distribution channel they used, among other topics. In total, 5,782 respondents completed the survey, the largest response we’ve ever had to a survey of this kind. The responses were collated and formed the backbone of a new research paper, the Consumer Access to Mortgages Report. Currently, nearly 60 per cent of consumers use a mortgage broker for their home loan, according to industry figures. The Consumer Access to Mortgages Report shows that mortgage broker clients are overwhelmingly satisfied with their experience. Ninety-six per cent of borrowers who had used a mortgage broker in their most recent experience were either “satisfied” or “very satisfied” the report finds, compared to 67 per cent of borrowers that had secured a mortgage directly through a lender. Moreover, 96 per cent of borrowers who used a broker said they would do so again, while less than a third (31.4 per cent) of proprietary channel borrowers said they would directly go to a lender again. Instead, more than 63 per cent of direct-to-lender mortgagors said they would switch to using a broker for their next mortgage. Building on the responses from the Borrower Experience Survey, the white paper also sought to understand the attitudes, perceptions and priorities of borrowers in relation to broker remuneration. The Borrower Experience Survey therefore outlined that a broker is typically paid a commission by the lender and does not receive a base salary. Noting that the primary source of income for a broker is a lender-paid commission, the survey asked borrowers what their thoughts were on this structure and whether they would consider paying a broker a fee. These questions were specifically asked given the commentary that had been put forward around broker remuneration following several pointed remarks regarding broker commissions during the seventh round of hearings of the Royal Commission into Misconduct in the Banking, Superannuation and Financial Services Industry. It found that nearly 80 per cent (78.6 per cent) of borrowers who have used or intend to use a mortgage broker “have no concerns with this structure”. Further, respondents who had provided further detail on this answer outlined that they did not feel that the products recommended had been influenced by the level of commission paid by the lender. Less than a fifth (17.9 per cent) of respondents indicated that they had “some level of concern” with the broker remunerations structure, while 3.6 per cent said they were concerned with it. Overall, those who were concerned with the structure generally pointed to a concern that the broker could be influenced to recommend a certain lender’s product to them. However, it is important to consider that this questionnaire was conducted while the royal commission was ongoing and that broker remuneration was the focus of several of the hearings. Further, as per Momentum Intelligence’s Third-Party Lending Reports, printed annually in The Adviser, there is also limited evidence to suggest that mortgage brokers actively pursue lenders who provide the highest rate of commission. Instead, the factors that consistently influence a broker’s selection are the lender’s product policy, product pricing and turnaround times. Would a borrower pay for a broker? Given the debate around the feasibility of a consumer-pays fee-for-service model, Momentum Intelligence asked respondents who have used, or intend to use a broker in the future, whether they would be willing to pay a fee for the service. Nearly two-thirds (58 per cent) said they would not be willing to pay a broker a fee. While two-fifths of respondents said they were willing to pay a fee, the vast majority were only willing to pay a nominal fee. Just 11 per cent were willing to pay a maximum of $1,000 for a broker’s service, 3.5 per cent up to $2,000, while only 1 per cent were willing to pay up to $5,000. A common theme uncovered from these responses was that while they prefer to use a mortgage broker, they would be unable to afford to pay a fee-for-service if it were mandated. 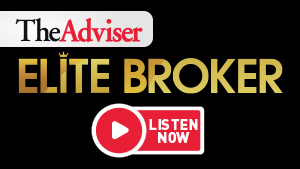 Given that the average broker currently earns around $86,000 (according to Deloitte’s recent Value of Mortgage Broking report), it would seem very unlikely that brokers would be able to afford to run their businesses (and pay their staff) on a reduced income. Indeed, you could go one step further and suggest that this could, in effect, decimate the industry – reducing the size of the industry from 14,200 active brokers to a measly few hundred. Given the findings of Momentum Intelligence’s the Consumer Access to Mortgages Report, a fee-for-service model would restrict the ability of borrowers to access mortgage brokers. Alex Whitlock, director at Momentum Intelligence, commented: “A serious implication of the proposed fee-for-service model is that consumers would be naturally driven to their primary personal bank, which is likely to be one of the big four. This would reduce competition by driving smaller lenders, who rely heavily on brokers, out of the market. “Fewer lenders will give the dominant retail banks the opportunity to increase their margin by pushing up interest rates. With mortgage repayments and household debt concerns looming, this result could also potentially lead to higher financial distress for Australian consumers,” he added. “Whatever the recommendations made in the royal commission’s final report, the fact remains that customers continue to see the value in using brokers, with recent industry figures showing mortgage brokers settled 59.1 per cent of all residential home loans, the highest broker market share to date,” he said. The findings complement recent commentary from industry representatives regarding the impact of changing the current broker remuneration structure to a flat fee. Download a copy of Momentum Intelligence’s Consumer Access to Mortgages Report now. Further details of the Consumer Access to Mortgages Report will be published in the March edition of The Adviser magazine.